Now with the new Premium hose! 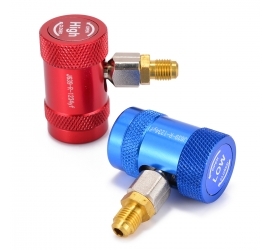 Valve in metal.Premium KIT with 2 cans for refilling of your AC. 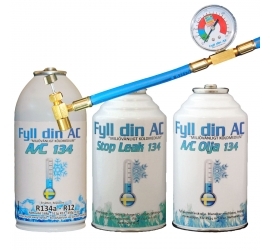 Contains 1 premium hose and 2 cans of Refill your AC R134A replacement with DYE. 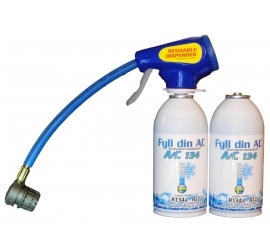 Premium KIT for easy recharge of your AC. 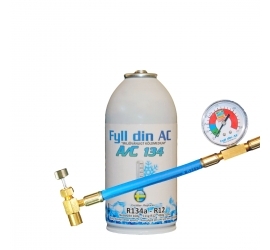 Includes: 1 premium hose and 1 can Fill your AC R134A replacement.Now with the new Premium hose! 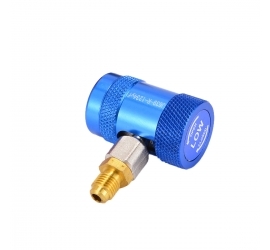 Valve metal in high quality. Now with the new Premium hose! Valve in metal. 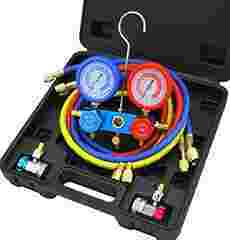 Fits in all cars that use R134A and R12. 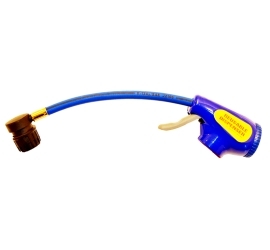 Now with the new Premium hose! 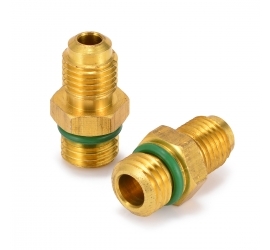 Valve in metal.Recondition, lubricating, and refilling your A/C system. 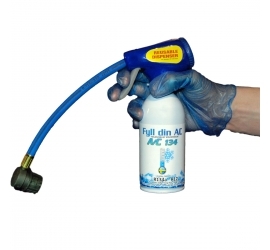 Fits in all cars that use R134A and R12. Fill with fresh oil. Miscible with Ester, PAG and mineral oils. 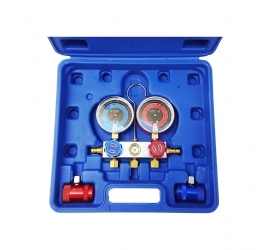 Kit with two quick couplings to R1234YF. High and lågtrycksport. Kvalitetskopplingar. HFO-1234YF With the shutdown. 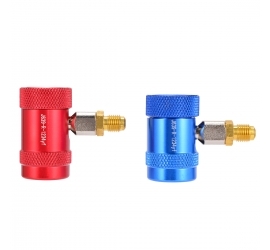 Adapter that has 1/4" thread included. Quick coupling for R1234YF ( HFO-1234YF). Högtryckssidan. With the shutdown. 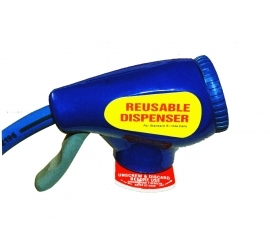 Adapter that has 1/4" thread included. 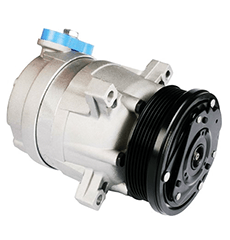 Quick coupling for R1234YF ( HFO-1234YF). With the shutdown. 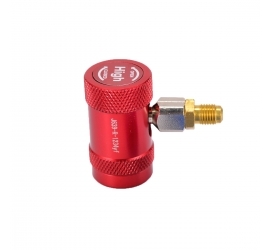 Adapter that has 1/4" thread included. 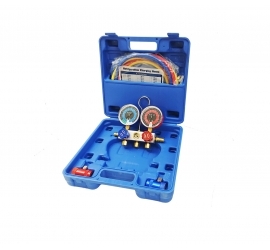 2-way manometerställ for R1234YF in high quality. 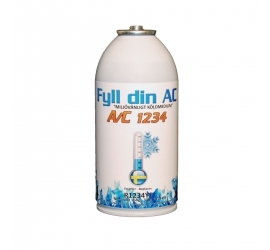 For diagnosis and service on vehicles with R1234YF ( HFO-1234YF). Everyone wants to have a cool car during the summer? Our compensation for R1234YF is an environmentally friendly option, that enhances the efficiency of your A/C for the best results possible! Test you also! 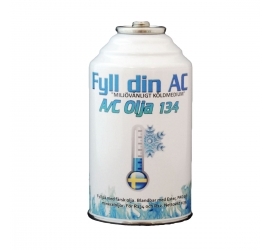 Bigpack R134A replacement with DYE The refrigerant based on hydrocarbon and is totally eco-friendly alternative. 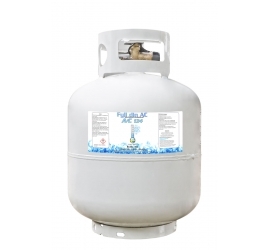 Our products is environmentally safe and non ozone depleting. We are working for a greener planet. Our biggest goal that you recieve your products in the shortest time possible. No question is too silly, just dump your question to our mail box and we will be happy ro reply. 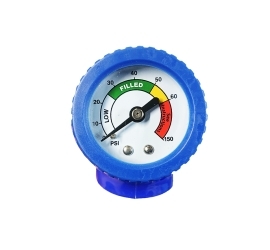 With our unique Proffsslang it has now become even easier to fill on your A/C! 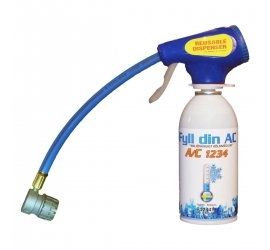 Modern cars have the refrigerant r1234yf. 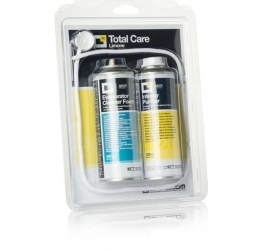 This refill kit includes everything to fill the cars with r1234yf Complete kit to get started. 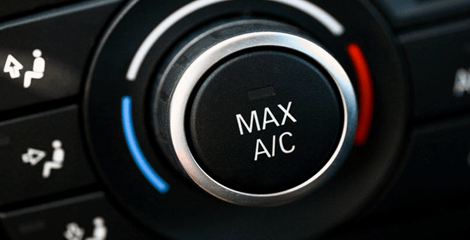 With our unique Proffsslang it has now become even easier to fill on your A/C! Complete kit to get started. 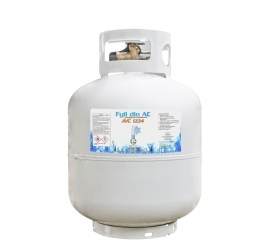 Containing the refrigerant corresponding to 900g. 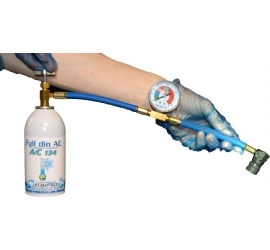 TOTAL CARE is a complete AC treatment which cleans the evaporator, and the channels in the heater unit. The set consists of two jars, which contain everything you need to clean and freshen the car interior. When the treatment is finished, will TOTAL CARE leave behind a scent of citrus.